Are you supposed to get the Adventure Coins instantly or do you have to wait a while? why i cant use the your opinion count it say im not the one they looking for? Offer: "get free games toolbar now and recieve adventure coins"
problem: didnt get any ac's i downloaded it and waited but still nothing im supposed to get 66 ac's within 15 minutes and i did it yesterday. Offer: "download whitesmoke translator for free"
Offer: "Join zedwars today! fight zombies before they eat you." this is a decent amount of ac's i need and nothing. I downloaded it, installed it, even opened it up and my offer hasn't been completed yet. why are you not responding/replying on our post? Want to get a free laptop? Offer ID: 10373384 Viewed: Apr 30, 2011 00:30:42 Amazon Kindle DX for Christmas! Offer ID: 10373299 Viewed: Apr 30, 2011 00:28:15 What is your New Year's Resolution? Offer ID: 10373159 Viewed: Apr 30, 2011 00:23:39 What is your New Year's Resolution? Offer ID: 10373074 Viewed: Apr 30, 2011 00:20:39 Spring Break! I have completed all of these offers, twice, and these are through Matomy but did not see a thread. I am tired of my offers not crediting; I have about 5,000 points majorly from SuperRewards. Matomy needs to improve reporting. Thanks for looking in. ANOTHER Page of Non-Credited offers and one I did twice. Please also look into this. Enter to win $500 gift certificate! Get a chance to win a brand new PS3! Offer ID: 10372506 Viewed: Apr 30, 2011 00:03:10 Choose 1 of 3 Apple products! I dont get the rewards all pending i send them a message regarding on my situation still no reply. I already finnish the offer in Superrewards on Mypoint offer... it promises a 128 ACs, but why don't i get them? i have verified my email, what to do now? Join hundreds of thousands of satisfied members who became tired of traditional computer games, and now play the hottest new games and classics on our site. Start your 5-day Free trial and instantly play over 1600 full-version games. Sign up and download unlimited games 100% free. Points awarded when you sign up to a 5-day free trial. No purchase required to receive your Points. Offer reports on a 15-minute delay. Why is this a bad offer? Not only did it fail to give points, but the information fails to inform consumers that there will be a 1.00 charge on the card for a hold of the account plus the 5 free days turns into a 35.00 subscription unless it's cancelled within the 5 days, then it goes back to zero. Not only that, but there's also a 1.00 service charge for express cancellation if you choose to do one while their closed. The offer is extremely unfair, and the offer requirement fails to tell people about what the real costs are. 1. The name of the offer you tried, such as "FastWeb - Find Free Scholarships for School", "REMEDYLife", or "NFO - MySurveys"
2. The date and time you tried the offer, such as Friday December 19, 2008 at 2:36 p.m.
4. If you contacted PayByPartner, and what response you received from PayByPartner. 1. Which Victoria Type do you like? "The image you have provided has been flagged as fraud. That page can be obtained without successfully completing the offer. Please note that attempting to use fraudulent images as evidence can result in your account being permanently suspended." they didn't bother to read it properly, I didn't finish the ORIGINAL offer. In order to finish it, I have to do ANOTHER offer, which I choose quickflix. 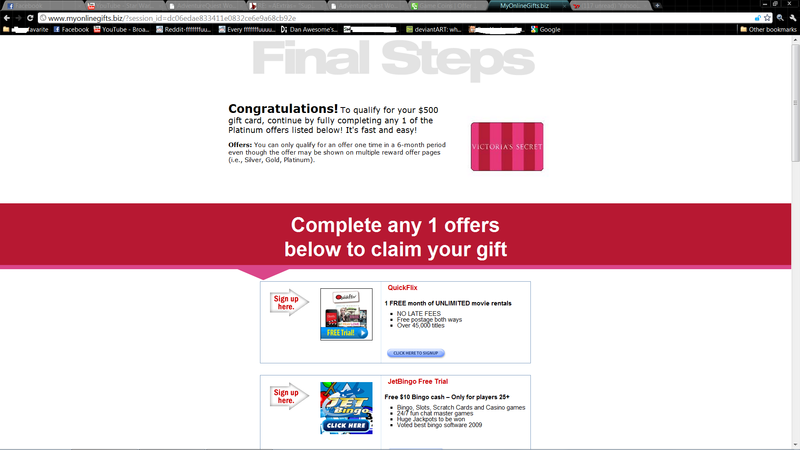 After I DONE quickflix offer, the original page didn't update that I finish the offer nor give me a link to continue. and they want to ban me because I provide my own prove and they didn't tell me what to sent and said what I sent them was fake! I got this http://www.elabs7.com/functions/message_view.html?mid=1255713&mlid=79027&siteid=512690&uid=7793639e00 (copy paste link, click on it doesn't work for some reason) in my email. 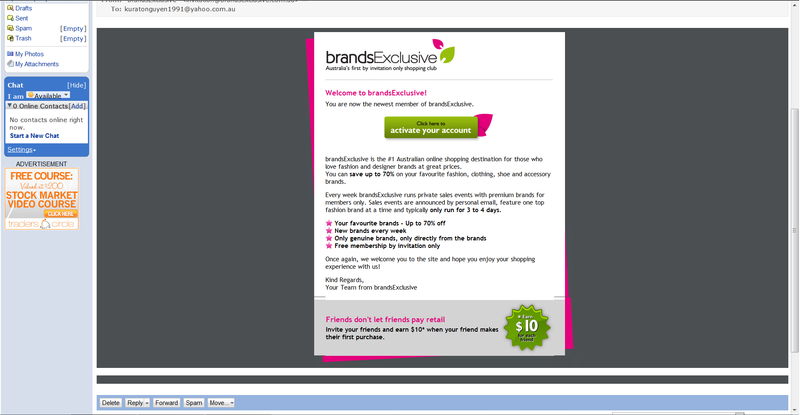 Just adding more madness to this stupidity, the original offer said verify email and receive ACs. No ACs, no mail to verify, flagged for fraud and get spam with this http://www.elabs7.com/functions/message_view.html?mid=1255713&mlid=79027&siteid=512690&uid=7793639e00. I have a Problem with Super rewards...Some of i COMPLETE THESE OFFERS but no AC's!!! Take this survey and influence the products and services of tomorrow. AdventureCoins awarded when you successfully complete the survey. Completes are updated on a 15 minute delay. Minimum requirements include being 12-19 years of age . Please note, not everyone will qualify for this survey. Win an iPad or shopping vouchers! 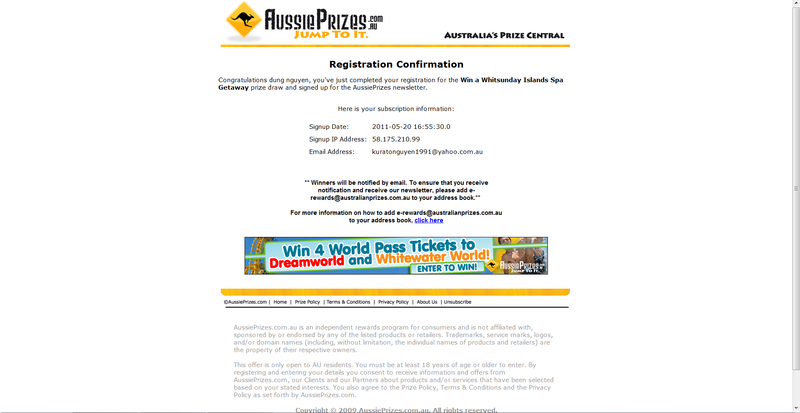 Become AIP online survey`s member with a chance to win an iPad or shopping vouchers worth $50. AdventureCoins awarded for Completing the registration page with real, accurate information and checking your email for a verification link. Clicking the verification link and Completing the survey you will receive within 24 hours. Social Bucks - Install Our App & Earn Great Rewards! Social Bucks is a social rewards application where you earn Social Bucks in exchange for playing games, watching videos, taking polls and other offers. AdventureCoins are awarded when you install application and complete the Social Bucks offer of the week. Offer reports on a 15 minute delay. Take online surveys and make real money. With SurveyHead it is fast, fun & easy to complete surveys! Sign up and start sharing your opinion and you will be rewarded in no time! AdventureCoins are awarded when you sign up with valid personal information and complete a survey. Offer reports on a 15 minute delay. I waited but I Never got My AC's please fix this problem and give me MY AC's PLEASE I WASTED TIME AND EFFORT!!! How long the reward took to be applied: I got a neverendng chain of offers that cost money to get. Also, when I retook, the offers changed to a list which you replied Yes or No, then were rediected to any you replied Yes to. It said you had to complete an offer to get your reward. I did not contact SuperRewards. The date was yesterday, but I can't remember the exact time. 3. Friday June 24, 2011 at 3:36 p.m.
4. The problem is that the description said I have to just register with valid info and verify to get my ACs, so I did that, but it still says it's only viewed. 5. I contacted SuperRewards, but I haven't heard from them yet. does this take a while or is it suppose to be instant?